Reducing Waste Over The Cold Winter Period! Ways to reduce waste and energy loss over winter. Winter has arrived, and it’s safe to say you already know that. The longer, colder nights are enough to make us want to just hide away in our homes, remain warm and attempt to save cash over the festive period in time for the summer months. This is a near-impossible task as the winter season is one of the most costly periods of the year. As the champagne glasses jingle and we use our central heating systems continuously, more energy is burnt and we are producing more waste than at any other time throughout the year. The Christmas period can cause households to create around 30% more waste and spend £169 more on food and drink just on Christmas day! 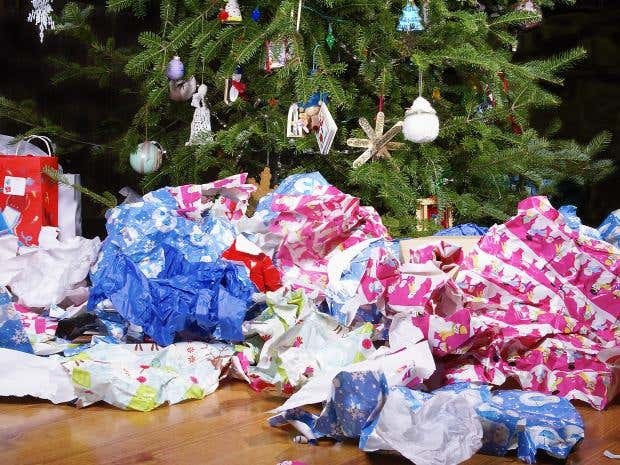 The extreme use of packaging, wrapping paper, houses lit up like Christmas trees and radiators on overdrive can have a substantial effect on the environment and our hard-earned cash. Throughout the month more than 125,000 tonnes of plastic and packaging will end up in the bin, it is important that this goes for recycling rather than into landfill. According to Wrap, the government’s waste reduction advisory body, if the card is recycled efficiently, this can save enough energy to light up 340 Blackpool illuminations! In 2012, the latest statistics show 74 million mince pies, the equivalent of 2 million turkeys and around 5 million mounds of charred raisins in Christmas puddings get thrown away by the UK and find their way into waste. Not only is the cost of processing this waste huge, but also the money wasted buying all that food. It is not too difficult to be environmentally considerate or to combat the winter temperatures, with some conscious actions, forward planning and a solid commitment to saving energy and reducing waste willgo a long way to help make winter greener! Try out our tips below. An easy, simple way to start reducing waste over the busy period is finding out what measures are in place in your local area to cope with this. Many local councils put in extra measures to help. Around 40% of rubbish comes from plastic, card, paper, glass and other materials that can be recycled. As the UK produces around 300 millions tonnes of waste a year, which peaks at Christmas, making full use of the recycling services available to you by your local council will go a long way in assisting the environment. Plastic packaging throughout Christmas can be a big problem, but also food, presents and decorations add up to a huge amount of waste. This can be combatted with some forward thinking by creating more space for storing and recycling this huge amount of recycling. 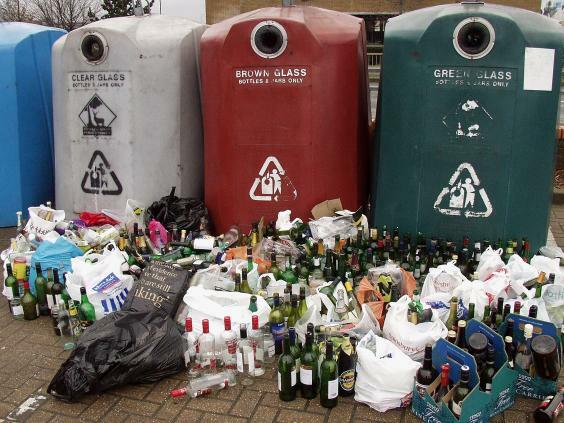 Have a few more bins to contain the extra recycling and perhaps reduce the chances of you throwing glass or plastics into the general waste when the recycling bins are full. Paper fibres can be recycled up to seven times, producing recycled paper uses up to 50% fewer chemicals than other paper and is significantly less polluting. A lot of the local authorities also provide Christmas tree collection services in January, which again is a simple way to help the environment. It is possible to buy your tree earthed in a pot then get it replanted at the end of the holidays. Calendars are provided to residents to inform them of collection dates over the festive period. Also, If you are looking for disposable party tablecloths etc try to avoid the ones that aren’t biodegradable. Another way is saving on food waste, using forward thinking can not only help reduce the cost of Christmas but also the waste that is produced. A lot of people are guilty of not using food before it goes off and preparing/cooking too much food without a conscious plan of what to do with the leftovers. Simple actions like saving leftover food for the following day’s lunch reduces waste. TurkeyThai curry, turkey risotto, Mexican quesadillas or even a Christmas carbonara are all different great options for the next day’s meal, turkey sandwiches are not the only option! Planning the festive meals in advance may seem difficult when preparing for a lot of people, but there are even simple tools like the “party portion planner”, click here, which can assist you in working out how much food needs to be purchased for big groups. Even when plans have changed, if the use-by date has not arrived, then actually freezing the food provides extra time. Eating frozen food up to Christmas can actually free up some space for you which can come handy. Throwing away food past its sell-by date and best-before is unnecessary as almost all these foods, and even ones close to the use-by date can be frozen to reduce waste. Energy saving can also be straight forward. The coldest part of the year is winter, so it can be common for people to have heating on full blast, at scorching levels then wear a t-shirt! Nice, easy tactics like wearing jumpers or using a blanket enables you to turn down the heating a level or two. Checking your heating system can help save cash, bleeding your radiators is a very easy method of improving its efficiency. Buying a radiator key to release air from the top of your radiator increases thermal output. Removing drafts in your house can also help to increase the temperature. Block holes to outside, cracks under doors and space between floorboards will increase the base temperature. Even leaving the oven door open, after it has been used, so that the warm air flows out and heats your kitchen are easy ways to help. Darkness and being cold can affect your mood which can also increase costs, so try to keep your house lit over Christmas. For example, try making the most of the winter light by moving items such as lamps and furniture away from windows as they may be blocking light. Also pull your curtains all the way back to let more light in. Light candles in safe containers in the evenings, to improve lighting in your house. The festive mood can make us over-rely on appliances as we feel lazy, this is also costly. Lazy actions like using your dishwasher when it is half empty, instead of full, actually use much more energy and water. Turning off your lights at night, especially the decorative ones, help reduce your bills. Changing your light bulbs around the house to energy saving ones will save you £3 a year per light bulb or £45 over the course of the light bulbs lifespan. If you think bigger, and become motivated in improving what’s better for you and the environment, investing in double-glazing and/or insulating cavities in walls helps retain heat. A lot of older houses waste energy as they were made in a time whenenergy saving was not a high priority. These simple changes to your home and some forward thinking will mean that your next winter will be better for you and for your environment. On average, over Christmas, we eat three times more than our normal calorie intake and spend much more money over this period so a little thought for the environment can ease the pressure on our wallets and waistlines. If you’re unsure about what items can be recycled or not and more interesting facts about recycling, you can visit our previous blogs.http://www.wheeldonbrothers.co.uk/non-recyclable-items/,http://www.wheeldonbrothers.co.uk/10-facts-about-recycling/orhttp://www.wheeldonbrothers.co.uk/recycling-blog/.